Hypnotist Corrie J puts on a Regina hypnotist show that has everything you need for corporate events, school and aftergrad, birthday parties, Christmas parties and more! 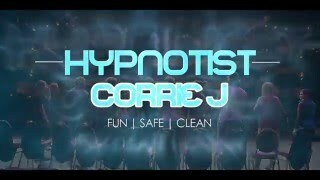 WATCH HYPNOTIST CORRIE J IN ACTION! Check out videos and pics from past shows and see what all the fun is about! If you need to plan an all ages event in Regina, Hypnotist Corrie J can help! An experienced entertainer, Hypnotist Corrie J can put on a hilarious show to complement your evening, or plan a complete event for you, including lights, entertainment and fun extras. Perfect for Regina parties, corporate events, school events and more. 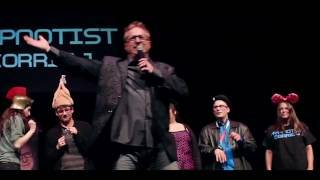 With several options available from single performances to full event packages, Hypnotist Corrie J and his talented team can put together a party in Regina that works for the audience, the event and the budget. Did you host or attend a Hypnotist Corrie J event? Share your photos or videos on Instagram using #hcj & #andsleep.